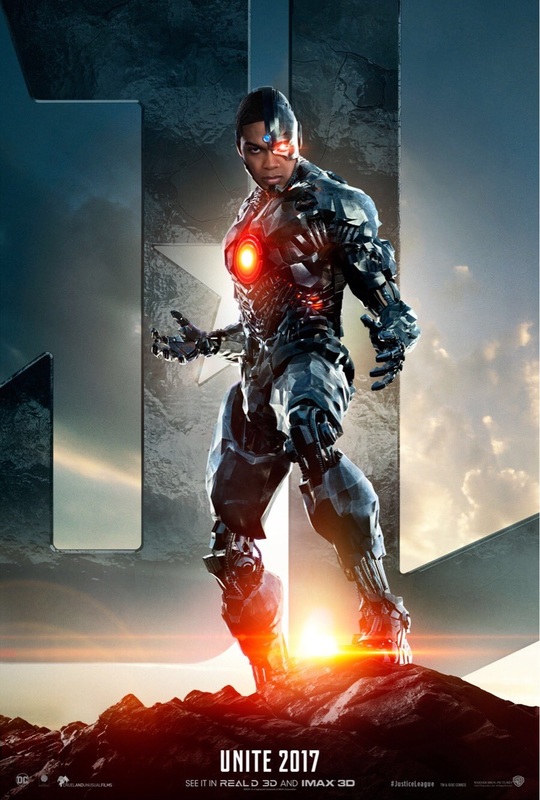 Ray Fisher's Cyborg (aka Victor Stone) completes the release of character posters and teasers for 'Justice League' until Saturday's full trailer release. We finally get to see more of the half-man/half-machine hero in this brief video. It's unlikely that we'll see Henry Cavill as Superman in any promos. There should be some surprise as to how he'll return from the dead. The full trailer will be released tomorrow, Saturday, seemingly combined aspects of all five teasers but we'll have to wait and see. Directed by Zack Snyder, Justice League also stars Henry Cavill, Gal Gadot, Ben Affleck, Amy Adams, Jesse Eisenberg, Amber Heard, Jeremy Irons, J.K. Simmons, Willem Dafoe, Julian Lewis Jones and Ciaran Hinds. The film opens in theaters on November 17, 2017. Cyborg DC Comics Justice League movie trailer movies Ray Fisher Warner Bros.
Labels: Cyborg DC Comics Justice League movie trailer movies Ray Fisher Warner Bros.